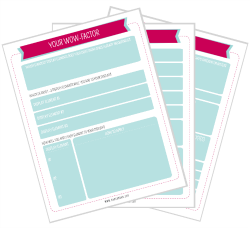 JOIN MY FREE 5 DAY CHALLENGE & GET A FREE CRAFT FAIR CHECKLIST! "I applied some steps from the challenge and it was AMAZING, it really helped and improved my display. More people came to see the booth and many bought from me." This is just a snippet from one of the many emails I've received since starting the FREE 5 DAYS TO A STANDOUT DISPLAY challenge several weeks ago and it's exactly what I was hoping for when I put the 5 emails together. 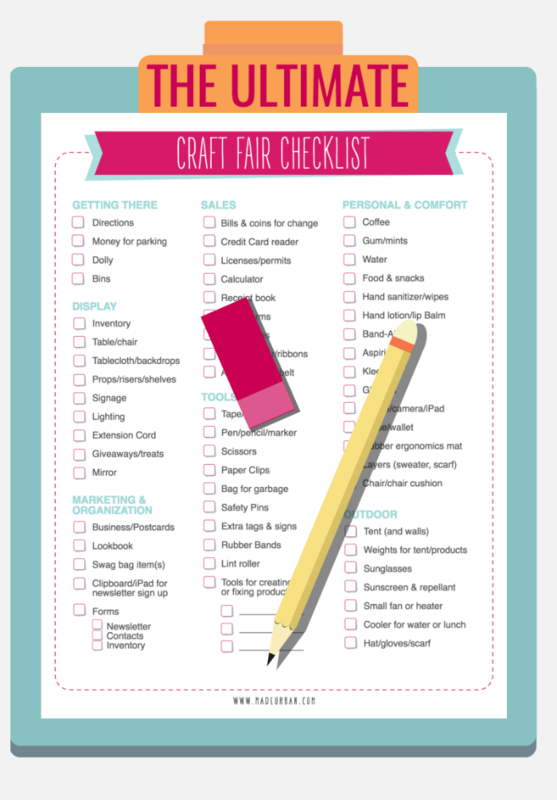 If you're interested in a FREE PRINTABLE CRAFT FAIR CHECKLIST to help get you organized I think you'll love my FREE 5 DAYS TO A STANDOUT DISPLAY challenge. Whether you've signed up for your first craft show or are about to sell at your 100th event, you'll find value in this email series. Creating or altering a craft show display without considering the 5 elements explained in my challenge is sort of like throwing darts in the dark. You don’t know where you’re aiming, what you’re aiming for and if you’ve hit the right target. Where do you start when you're building a craft show display? How do you come up with the concept, the colors, the props, the signage, what to say to customers, etc? This challenge has 5 easy steps to help you with all of that. It's been amazing to receive all the emails from craft show vendors who have joined the challenge and just want to email to let me know how much they've enjoyed it and the "aha moments" it's sparked. They know they need to do something to bring their craft show sales up but they're not sure where to start. They know they need to do more than place a tablecloth down, add a few risers and neatly arrange their products. There's tons more in the challenge and valuable lessons every handmade business owner should learn. Join the challenge below and you'll instantly receive your FREE PRINTABLE CRAFT FAIR CHECKLIST and the first lesson of the challenge shortly after. You'll receive your free checklist instantly after confirming your registration and your first checklist & worksheets will shortly follow. One lesson per day along with instructions and homework on how to apply each step to your display.